Frédéric Rombaut is responsible for Corporate Development throughout the International region. He is a Senior Executive specialised in Venture Capital & Private Equity investments in International Technology companies. Over the past 25 years, Frederic has served on over 20 board director seats and made over 50 equity investments for more than USD 12 Billion across the technology, telecoms and media sectors. 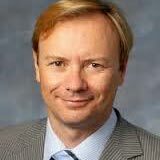 Before joining Cisco in 2012, Rombaut was with QUALCOMM Inc where he launched and led European Investments and M&A activities during 6 years. Previously Rombaut was a Board Director, Senior Vice President and CFO at Noos, the major French cable operator, acquired by Liberty Global (today Numericable). Rombaut previously spent 6 years at APAX PARTNERS (one of the largest independent global private equity firm), where he led the TMT investment sector. Earlier in his career, Rombaut launched the Corporate Development division of the Bouygues Group, the worldwide leader in construction, helping the group to diversifying in the high tech industry by co-founding BOUYGUES TELECOM, today the 3rd largest 3G/4G Mobile Network Operator in France. Rombaut is a frequent speaker at industry events on technology investments. He received his MBA from the Sorbonne University (IAE Paris), holds a Master of Engineering in Electronics (ECE Paris), and is a senior lecturer at the Trium Global Executive MBA.